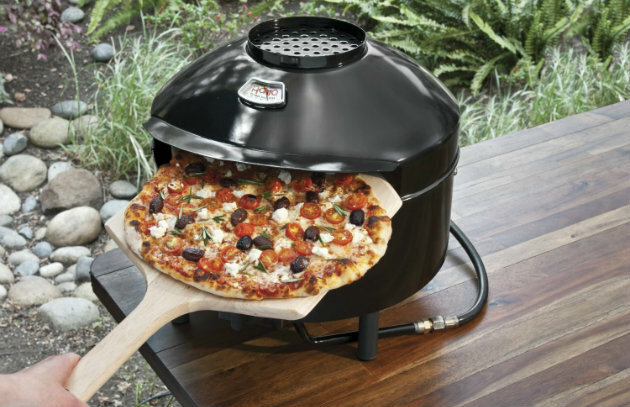 The Pizzeria Pronto outdoor pizza oven from Pizzacraft reaches cooking temperatures of over 700 degrees Fahrenheit and cooks a pizza in only 5 minutes. The portable oven is perfect for tailgating, camping, or your regular family pizza night. Enter below for a chance to win one! And click here for tips and info about grilling pizza. NO PURCHASE NECESSARY. Open to US residents of the 50 states, age 18 years as of March 10, 2015. Sweepstakes begins at 12:00 a.m. Eastern Time (ET) on 2/24/2015 and ends at 11:59:59 p.m. ET on 3/10/2015. Click here for official rules. Void where prohibited.